As a full time band, we make sure we meet the important criteria expected of us. On this page you’ll find out more about why you should choose Silk Street Swing for your upcoming party or event. Once you’ve finished here, visit the Contact page to get in touch. Fully qualified, highly trained & experienced. Watch the band live in action. Testimonials and comments from previous customers. Sound bytes of all line-ups & CD album available. Our own Public Liability Insurance to the value of 5 million. Fully PAT tested and certified equipment. Book quickly & conveniently through our website. Member of the FSB and the Musicians Union. 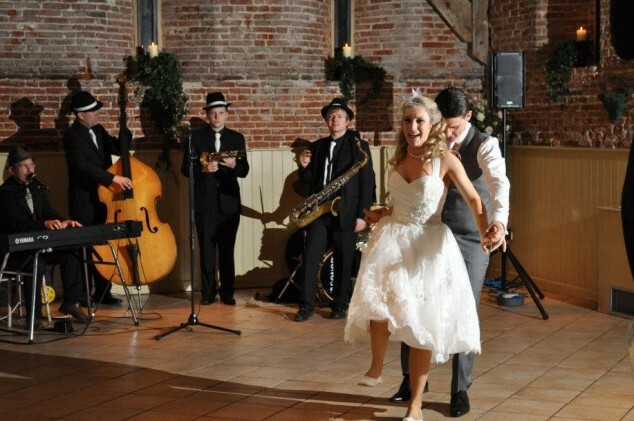 Super wedding yesterday with Silk Street Swing setting the mood! Highly recommended! booked Silk Street Swing for our party. We love a bit of swing! Can’t wait!! Comprehensive Risk Assessment available on request. We guarantee your booking, right through to the very last note.